ABDULLAH ANTI FIRE CORPORATIONhas become a exceptional and enthusiastic to dynamic force in the Geosynthetic installation and supply industry. We, as a team, are providing quality service and expert workmanship. 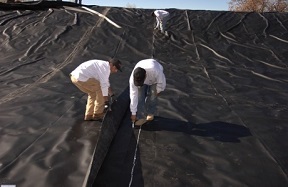 Ex- stock and imported Geomembrane, Geotextile are also available. 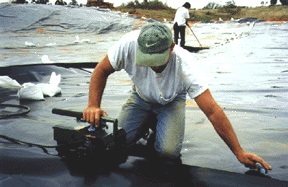 Now a days Geomembrane and Geotextile are extensively used in lining of pond reservoirs, canal, waste water, landfill, a dams, Lakes and many other areas Due to cost effectiveness and resistance against chemical and weather conditions. This highly committed and qualified company has its main focus to provide the quality services to its clients. 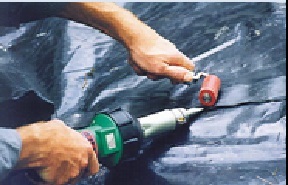 The main area of expertise at that stage was the welding of Geo-membrane. Abdullah Anti Fire Corporation has completed many prestigious projects of different organizations and providing services to its clients in many areas that include civil & mechanical, construction work, civil works.